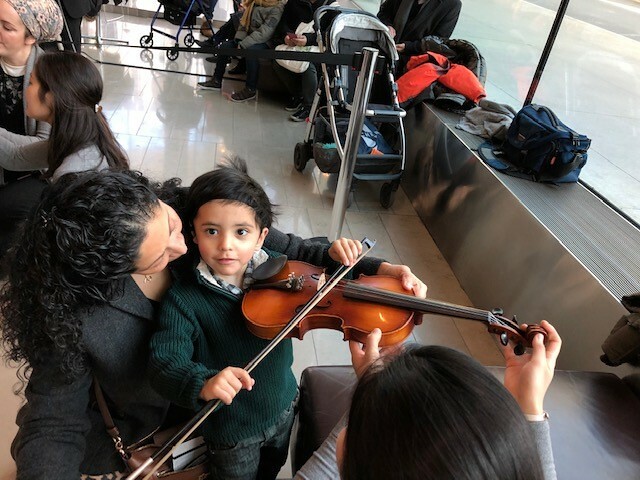 January 16, 2019—Clarke New York’s preschool families attended a musical performance of "The Girl Who Loved Wild Horses" thanks to a generous ticket donation from the Chamber Music Society of Lincoln Center. The program featured an “instrument petting zoo” that enabled Clarke New York students to explore a variety of instruments in a hands-on way. Students discovered the feel and sound of each instrument before taking their seats for a performance at renowned Alice Tully Hall. Based on the children’s picture book by Paul Gobble, the musical told the story of a Native American girl who understands horses on a mystical level. The intimate experience provided an opportunity for students who are deaf or hard of hearing to listen to a variety of musical sounds—from thunderstorms to thundering hooves.